A very beautiful view from the room. It was clean. Very kindly owner who was ready to help. Sehr uriges Zimmer, richtig gemütlich und nett. Schön gelegen in kleinem Dorf. Wat een bijzonder plekje! Heerlijk gegeten en geslapen. Een aanrader als tussenstop richting het zuiden! Wir hatten zwei Zimmer im Chalet B&B Fiori gebucht. Leider gibt es aber nur ein Zimmer. Somit bekamen wir ein Zimmer im dazugehörigen Hotel. Es sei ein Fehler von Booking hiess es. Das ZImmer im Chalet B&B Fiori ist wirklich fantastisch. Sehr hübsch und liebevoll eingerichtet. Die Lage ist wunderbar. Viele Wanderungen in der Gegend sind möglich. Der Nufenenpass ca. 15km weg ist ein wahres Highlight. Ebenso die Busstation direkt vor dem Haus. Gepflegte Gastlichkeit in gemütlichen Gebäuden und fanzinierender Natur. Sehr angenehmer Umgangston. Jederzeit wieder! Wunderschöne Lage in kleinem Bergdorf nur 8 km vom Gotthardportal entfernt mit gemütlichem Restaurant und gut bestücktem Frühstücksbuffet. Gute Nähe zum Nufenenpass. Suurepärane koht vaikseks puhkuseks, eemal kõigest, väike hubane ja stiilne mägimajake, hea hommikusöök. 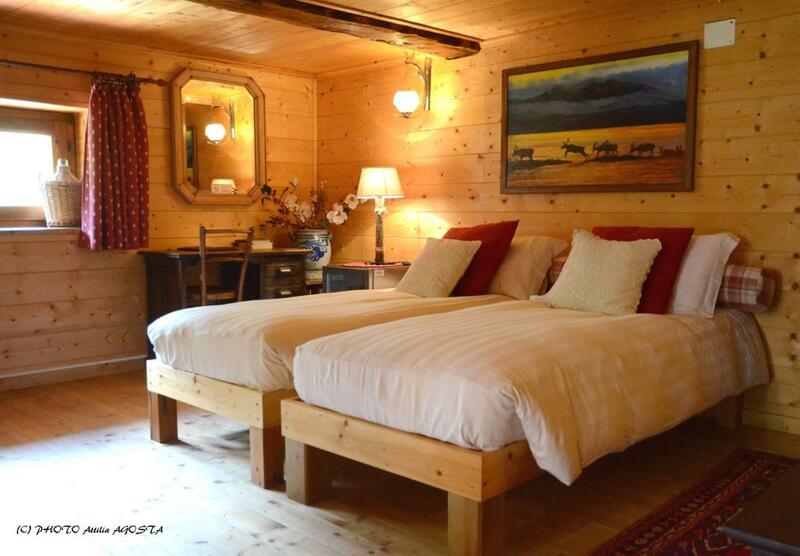 Lock in a great price for B&B Chalet dei Fiori – rated 8.5 by recent guests! B&B Chalet dei Fiori This rating is a reflection of how the property compares to the industry standard when it comes to price, facilities and services available. It's based on a self-evaluation by the property. Use this rating to help choose your stay! B&B Chalet dei Fiori enjoys a quiet location in the scenic landscape of the Bedretto Valley, south of the Sankt Gotthard Pass. The restaurant serves Italian specialties, including fresh homemade pasta and characteristic mountain-style dishes. 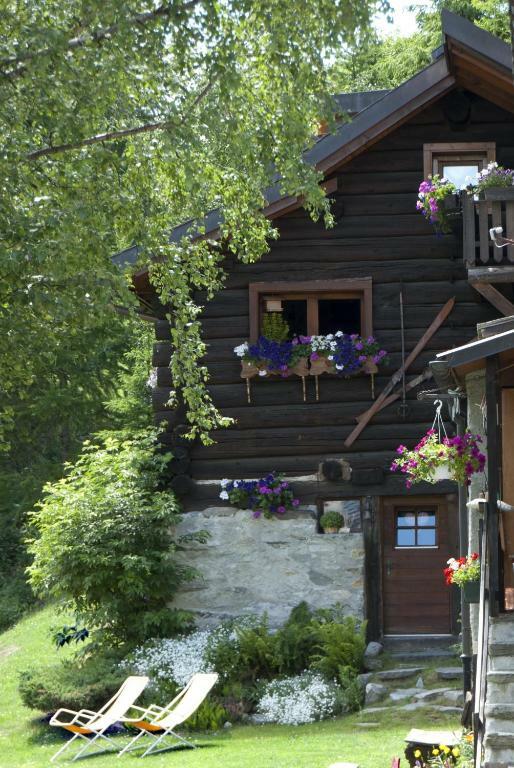 Located at 5 feet above sea level and only 5.6 mi from the Airolo motorway exit, the romantic and historic chalet from 1837 offers ideal conditions for hiking in summer and skiing in winter. 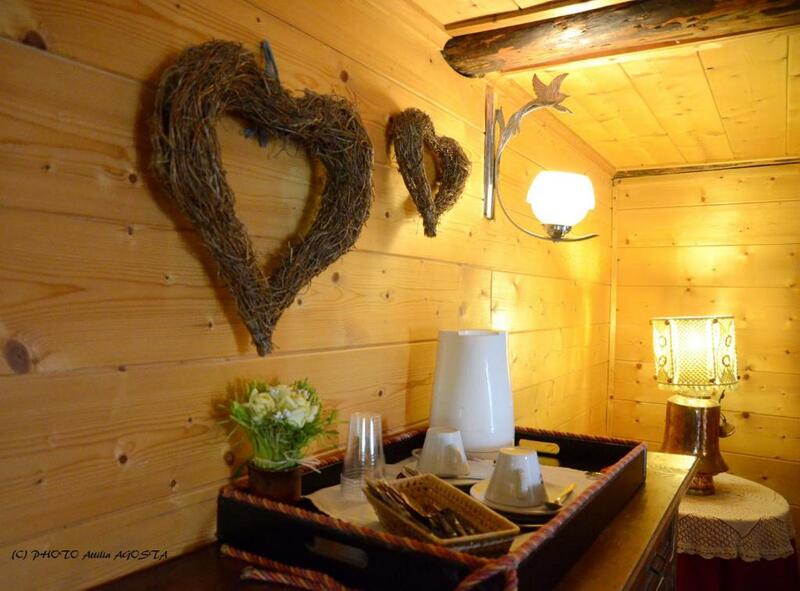 The Chalet dei Fiori's rooms feature wooden décor and a private garden. There is also a spa area with a sauna, a hot tub and a sun terrace near the Chalet dei Fiori (150 feet), which is accessible at an additional cost. This property also has one of the top-rated locations in Bedretto! Guests are happier about it compared to other properties in the area. This property is also rated for the best value in Bedretto! Guests are getting more for their money when compared to other properties in this city. When would you like to stay at B&B Chalet dei Fiori? Rustic-style room with a private entrance, wooden furniture and floors, a flat-screen satellite TV, and a bathroom. questa camera in b&b e' una parte, con entrata separata, dell' abitazione presso la quale vivo. Lo chalet e' antico, tutto in legno, con altezza di cm 185. Con giardino, adatto a chi ha bimbi o possiede cani. Io sono il direttore del piccolo hotel di montagna sito di fronte allo chalet dei fiori. House Rules B&B Chalet dei Fiori takes special requests – add in the next step! One older child or adult is charged CHF 65 per person per night in an extra bed. B&amp;B Chalet dei Fiori accepts these cards and reserves the right to temporarily hold an amount prior to arrival. B&B Chalet dei Fiori accepts these cards and reserves the right to temporarily hold an amount prior to arrival. Please go to the reception of the Chalet Stella Alpina for your check-in. Please note that the room height is only 6.2 feet. It was a bit nerve-wicking to ask 10 times about dinner and breakfast. Great location, friendly staff and great service.